In my first season of hardball, I stole over 10 bases. But I took walks rather than swing for hits. Afraid to swing and afraid to strike out, that was me. And despite my best efforts, I cried each time I struck out. There was a lot of crying. I finally swung for the fences in the last game of the season and managed to foul off two pitches before I went down again on strikes. When the game was won, my first base coach, who had caught at least one of my foul balls with his bare hands, pretended to be in pain. The kid who batted .000 had “stung” the ball foul. Nice touch. Turns out our team, Laird & Son Ltd., on which I, with my December 29 birthday, was the youngest player, was so good it managed to carry a non-swinging right fielder all the way to the finals. We won the Atom Baseball League Championship, and I hit two foul balls. 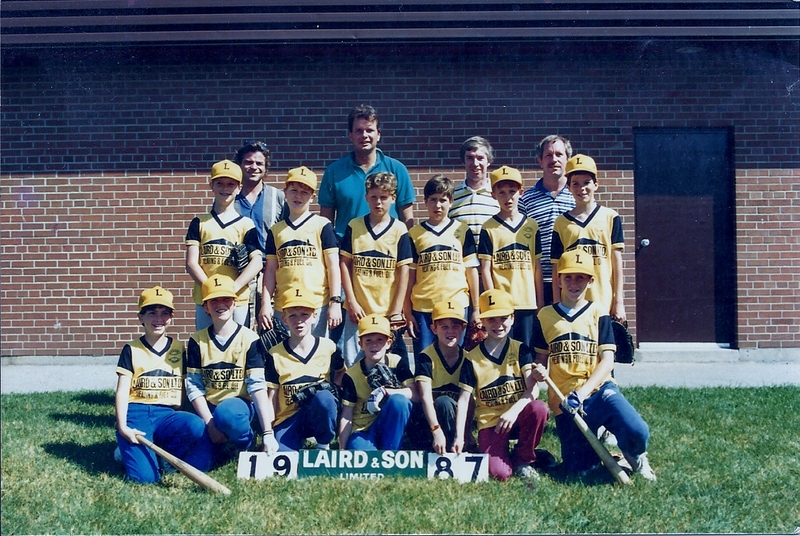 Strangely, the Leaside Baseball Association gave out no trophies that year. But after every well played game, our team tore across Trace Manes Park like a pack of wild dogs to the corner store for big freezies and pops, paid for by one of the coaches. That run across the field is one of my fondest little league memories. The Blue Jays 25-man roster includes 11 Spanish-speaking players: Joel Carreno, Frank Francisco, Carlos Villanueva, Henderson Alvarez, Luis Perez, Jose Bautista, Yunel Escobar, Edwin Encarnacion, Jose Molina, Ricky Romero, J.P. Arencibia, and until recently, Octavio Dotel, Juan Rivera, and Jo Jo Reyes. From the 40-man roster, add Adeiny Hechavarria and Moises Sierra to that list. This August, The Blue Jays also signed 16-year old pitching phenom Roberto Osuna out of Mexico City, among six other prospects (three from Venezuela, three from the Dominican Republic) to add to a long list of acquisitions from Latin America. What’s the impact of the Spanish language on the ball club? Romero speaks Spanish at home, mostly English at the ballpark. As catcher, Arencibia communicates well with the entire pitching staff, using both languages in his toolbox. Richard Griffin of the Toronto Star suggested last year that a Spanish-speaking manager to replace Cito Gaston makes sense. I’m curious who, other than Coaching Assistant Luis Rivera, speaks Spanish on the Blue Jays coaching staff. Should it be part of the criteria for employment? It wouldn’t hurt. Would it make any difference on the field? It just might. But there are two sides to the coin. I believe it is in the best interests of every Spanish-speaking player that he gives the English language his best shot. It is the first language of Major League Baseball, after all. Perhaps the organization does have enough serviceable translators in Toronto. There are likely dozens, if not hundreds, of Spanish-speaking scouts across Latin America. This presence in countries like the Dominican Republic, Mexico, and Venezuela is one of the organization’s greatest strengths. A comparable fluency of the Spanish language throughout the organization, especially in Toronto, could only bolster our talent at the highest level. Stuff gets lost in translation all the time. In a game as detail-oriented as baseball, having a truly bi-lingual organization would be another way to find an edge. Who remembers the Pearson Cup? It was the annual game between the Toronto Blue Jays and Montreal Expos that lasted between 1978 and 1986. I don’t. But I could really get in to that kind of thing now. If the Expos were still around. Bill the Space-Man Lee (inset) threw beautiful junk, including something called the eephus pitch, staggeringly void of standard velocity. Bearded, he loved his the anonymity in the city, didn’t mind French, and loved the pool bars. 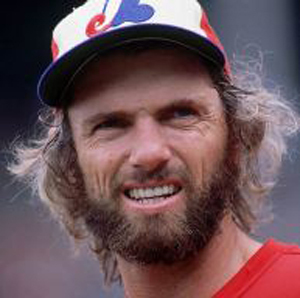 During his time hurling for Montreal (1979-1982), he was fond of a beer and a steak before taking to the mound. Andre Dawson. Tim Wallach. Hubie Brooks – 104 hits in 306 AB, (.340 BA). El Presidente – El Perfecto was huge. 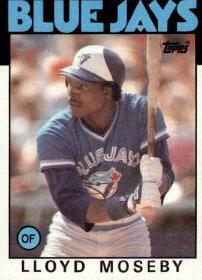 Delino Deshields, Marquis Grissom and Larry Walker were a rare triumverate of young titans. 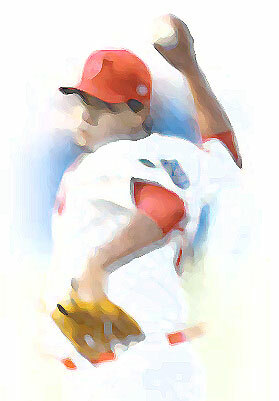 John Wetteland. Felipe Alou and Son. And the opportunity of a lifetime. But then the strike. I remember Olympic Stadium felt desolate the last time I was there, in the late 80s. I ate a possibly steamed hot dog, which was above average. And pieces of the wonderful landmark, still beautiful seen from atop Mount Royal, would begin to crumble off, an oft-used metaphor for the team’s fortunes. But if any MLB team could be considered champion of 1994, it would have to have been the 74-40 Montreal Expos. In fact, the team put up a banner, which reads: 1994 Meilleure Équipe du Baseball / 1994 Best Team in Baseball. As good as it got. Just look at those pearly whites! From the mammoth TV in the home of the gregarious Mrs. Smith, they gleamed. The great lady gushed and declared Fred McGriff her new favourite man. This was the first time I understood there existed reasons other than love of baseball to watch the Blue Jays. “I just love his teeth,” said Mrs. Smith. 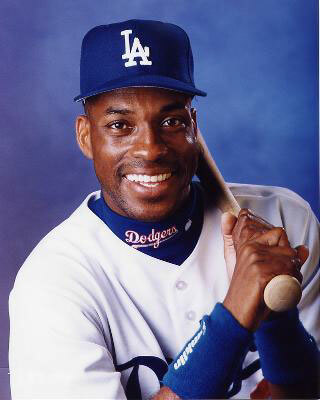 If I were smart and took care of my teeth like Fred McGriff, I would get all the girls, she said. “That’s why I married my first husband,” she went on. 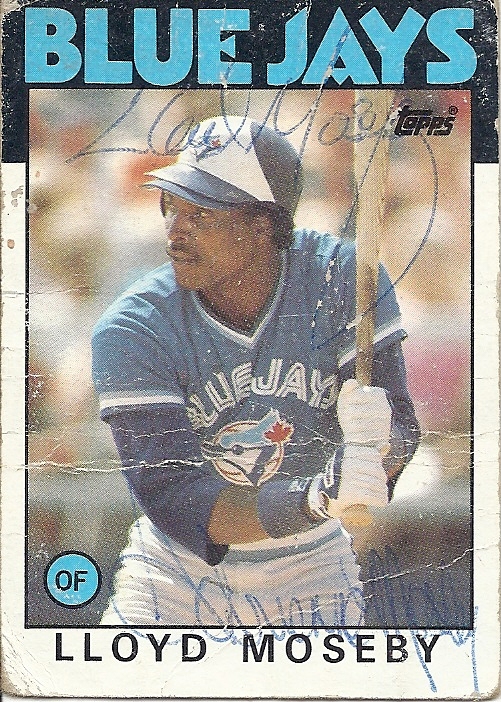 His Blue Jay life just a few at bats old, McGriff had already become a role model, and this well before the Crime Dog era. In grade school, our teachers encouraged us to talk about the Blue Jays. The margins of my grade three journal, in which I reported daily on their progress, filled with comments. One fine day, I was invited along with my Mother by a family friend and Blue Jay fan club member to dinner at Exhibition Place. Everyone was to meet special guests Dennis Lamp and Willie Upshaw. I was psyched. I remember modest Mr. Lamp talking about his 11-0 season, something about luck and team effort. Upshaw never showed up. This would make saying goodbye to the veteran first basemen far easier. Brush my teeth after every meal, and a smoke alarm on every floor. Got it. Pitchers and Poets described Fred McGriffness as the absence of style in a wonderful tale of fandom and quiet superstardom. Tubbs Baseball Blog discussed the Hall of Fame obstacle for McGriff, he of the 493 HR and .377 OBP, coming out of the steroid era. I say he gets in long before my teeth fall out. Even in the dog days of summer, Lloyd Moseby always wore spandex under his baseball pants. It was the only way he felt comfortable enough to play ball. Either spandex or long underwear, that’s what he told us, the fortunate students of Leslieville Public School, during his 1987 visit. My Mother taught at the school, which on my trouble-making days didn’t work out so well for me, but on this day, it proved most convenient. You see, Lloyd spoke to one class only, and it was not mine. Such irony confused me. I didn’t know it was possible to wash something in my pocket. He smiled, and I must have realized he was joking because his “business” card I handed over had more creases and folds than an origami grasshopper. I remember feeling vaguely embarrassed that I didn’t have a mint condition baseball card for him to sign, but he didn’t seem to mind. He did seem like a genuine guy, with an easy smile, who loved his job and the kids…..still does, as he participates in baseball camps put on by the Blue Jays and Baseball Canada. Known as “The Shaker” for his unorthodox gyrations at the plate, Moseby with his exciting combination of speed and power was part of an emerging core of players putting Toronto on the major league map. 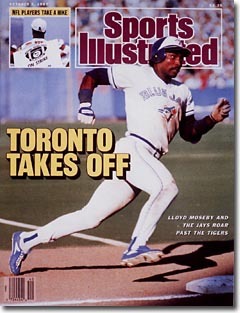 The Blue Jays still had not won a playoff series then, but by 1985 they had come close: 99 wins before a heartbreaking game seven loss to the Kansas City Royals after having taken a 3-1 lead in the ALCS. The Jays were such a huge draw. It felt like everyone I knew loved them. The city put so much hope in them, and 1987 seemed like it could be the year, as this Sports Illustrated article would suggest. Lloyd finished his talk about the same time recess let out. I’ll never forget hoards of students charging through the doors outside to our concrete schoolyard to catch a glimpse of Lloyd. The cheers and excited wave of goodbyes followed him, smiling and got into his car, likely on his way to old Exhibition Place. If only the 1987 season had ended so jubilantly. Ever heard of Dusty Napoleon? What about Rowdy Hardy, or Scott Schwindenhammer? Well, you have now, and reaching its conclusion is the 5th annual Minors Moniker Madness contest put on by MiLB, in which 64 of the wildest monikers compete for the distinction of best name in minor league baseball. Man, this guy must be something, I thought. He wasn’t. Robidoux, once a highly touted prospect in the Brewers organization, played bits of six seasons for a total of 468 major league at bats. Despite a talent for taking walks, he failed in four of six seasons to land on the right side of the Mendoza line. But to my young mind, it was as if a great name could lead to a great career and the poignant delivery of that name related somehow to the player’s ability. I had become so accustomed to the names of Willie Upshaw, Jesse Barfield, Damaso Garcia, Garth Iorg, Rance Mulliniks and Rick Leach that hearing those of Robin Yount, Paul Molitor, Ben Oglivie, Juan Nieves, Danny Darwin, and Billy Jo Robidoux, was like opening up a fresh pack of baseball cards or trying on a new batting glove. These were good baseball names, energized by an announcer’s gusto. Syllabic exaggeration injected excitement to an already fun experience, and with the contagious reverberations of the Brewers theme song “Keep turning up the heat,” which almost rivalled the golden hit single “OK Blue Jays” of 1983, a kid couldn’t help breaking into some variation of the hokey pokey. Thinking of our times at County, I’m reminded of my baby brother wearing a big Brewers batting helmet, eating ice cream scooped into tiny souvenir batting helmets, and my Mother in the grandstands, dizzying from an onslaught of vertigo. She would descend, but stay at the ballpark, often ending up in better seating than the rest of the family. I would sit anywhere as long as I could see the field and hear the commentator name those names. My Dad got hooked too. He not only parroted the call of the Robidoux at the stadium, but while we played catch in front of his apartment, and even out of context…..
“Bill-y Jooooo Rooooo-bi-doooooux,” he would say in the car…..and laugh…..I would laugh and say it…..more laughter. Best ice breaker ever. It once saved me after I nearly broke a window throwing the hardball wildly in the general direction of my Dad. For a moment he looked pissed, until he heard the sweet sound of my….. The MiLB contest got me thinking that for posterity, I ought to compile my personal list of the best 80s names in baseball. A few that creep to mind now, mainly for their association with a distinct moment of Blue Jay heartbreak, are Doyle Alexander, Brett Saberhagen, and Steve Balboni. But we’ll discuss the Detroit Tigers and Kansas City Royals another day. Today I remember the old Milwaukee Brewers. You had me at Rooooo-bi-doooooux! Based on the account of four anonymous White Sox relievers, certain sports writers have suggested that Jose Bautista has been found guilty of stealing signs with the help of a “man in white” perched in Sky Dome’s centre field. These unidentified White Sox offered nothing beyond anecdotal evidence of any cheating, namely that they saw this “man in white” raising his arm from centre field to indicate non-fastballs. The notion that Bautista has been “called out” is disingenuous since nothing was determined. An actual calling out, as far as I understand, involves the bringing to light of some level of guilt. And actual guilt, and declaring it, requires some semblance of evidence. This has not taken place. The most telling thing that has been glossed over in most media accounts is that there is no real statistical difference between Bautista’s power numbers, at home and away in 2011. Does the assertion then become that the “man in white” communicates the pitches to Bautista from a particular vantage point in every AL ballpark, US Cellular Field and the home of all White Sox included? One of the central pieces of what has been considered evidence, that Bautista’s stats are inflated at home, falls flat. There is no argument. It seems that certain sports writers don’t understand how a ball player can achieve Bautista’s level of success, seemingly out of nowhere. Would a player based in a different market be subjected to the same accusations, the “guilty of something” verdict based on anecdotal evidence from unnamed sources? His real crime is mashing home runs at ball parks everywhere. That evidence is awesome. 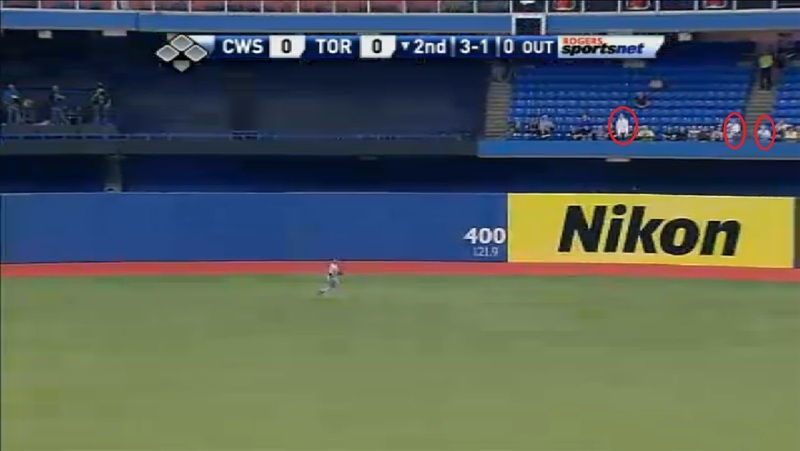 Why not enjoy the Bautista show? I suppose it is understandable, in the wake of the steroid era, that certain followers of baseball may succumb to an alarmist bent. But Bautista is tested often. He doesn’t take PEDs. He must be guilty of something though, right? No, friends, there is no real evidence to support the claim that a “man in white” is helping him cheat to hit home runs. It is bush league and possibly jingoistic to claim otherwise.